President Bush today signed a new transportation bill into law. 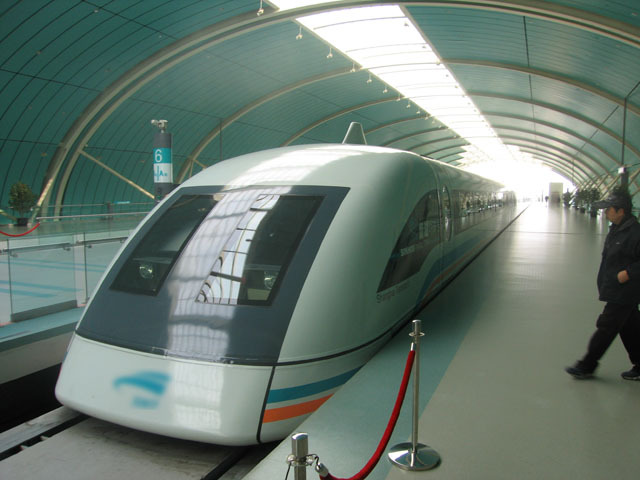 Part of that bill authorizes $45 million for a futuristic train that is scheduled to run from Las Vegas to Disneyland. The train is meant to ease traffic on increasingly clogged Interstate 15 (the main route for the millions of Southern Californians who make the 250-plus-mile drive to Las Vegas each year.) Right now there is no passenger train service of any kind between Los Angeles and Las Vegas. Amtrak canceled service to Las Vegas in 1997 because of low ridership. 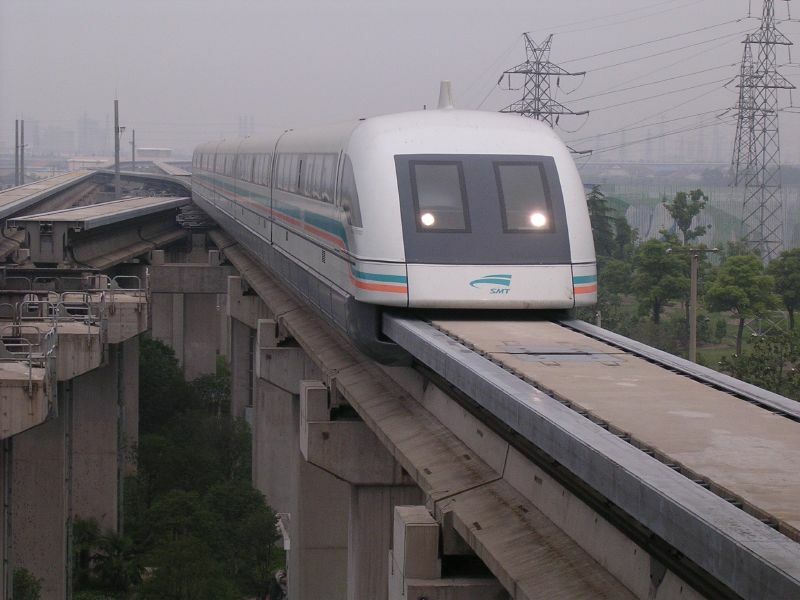 The train would utilize a technology called MagLev where the vehicle “floats” above the track using electromagnets. Critics have called the plan “futuristic pie in the sky” but MagLev trains already run in England, Germany, Japan and China. The speed of these trains reach almost 400 MPH. A trip from Los Angeles to Las Vegas on such a train could take under and hour. The Wall Street Journal today has an interesting feature on the new cell phones being sold by French designer Christian Dior. The “luxury phones” are selling for $5,000 apiece. These are not some iPhone, super high tech, miracle phones. 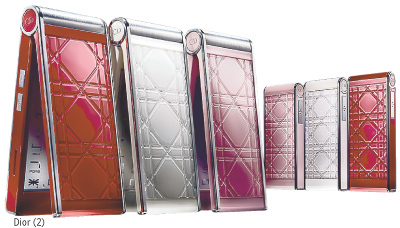 They’re pretty much like YOUR cell phone except with a designer Christian Dior label. For $5,000. The company expects to sell 10,000 phones this year. At $5,000 a pop, that’s $50 million. If you’ve been holding off on getting that new iPhone that everyone’s talking about, I’ve got bad news and more bad news today. First, according to a “fan” website devoted to the iPhone, every Apple Store in both the United States and England is completely sold out of the most popular models. 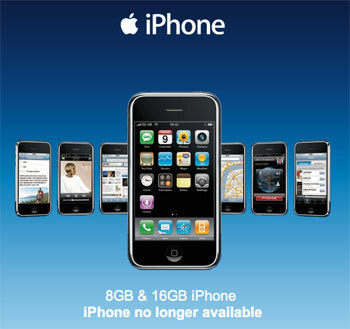 The Apple stores in both the US and the UK are now officially listing the 8GB and 16GB models of iPhone as out of stock. The Buffalo News also has an interesting story today about the high tech wondergadget. Apparently you can’t use cash to get an iPhone. It’s company policy by Apple. Customers are required to use a credit or debit card. The story quotes a furious customer from upstate New York who was rejected in his bid to secure the phone. He went to an Apple Store with cash in hand and was perfectly willing to pay the $499 plus tax. He was turned away by Apple. Why would Apple turn away cash paying customers? Apparently the company is concerned about people re-selling their phones on the black market. They want the iPhones registered to the people who bought them. Also, the company feels this will cut down on hackers who are trying to make the iPhone compatible with carriers other than AT&T. 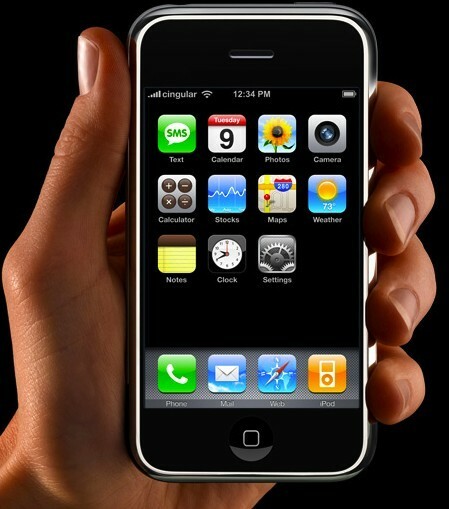 Right now AT&T has a deal to be the exclusive cell phone carrier for the iPhone. Sprint, Nextel and Verizon don’t have iPhones. One parenthetical note, I was in an AT&T store yesterday buying a phone. They have iPhones in stock.